Sonata Op. 1a, No. 2, 1st Mvmt. 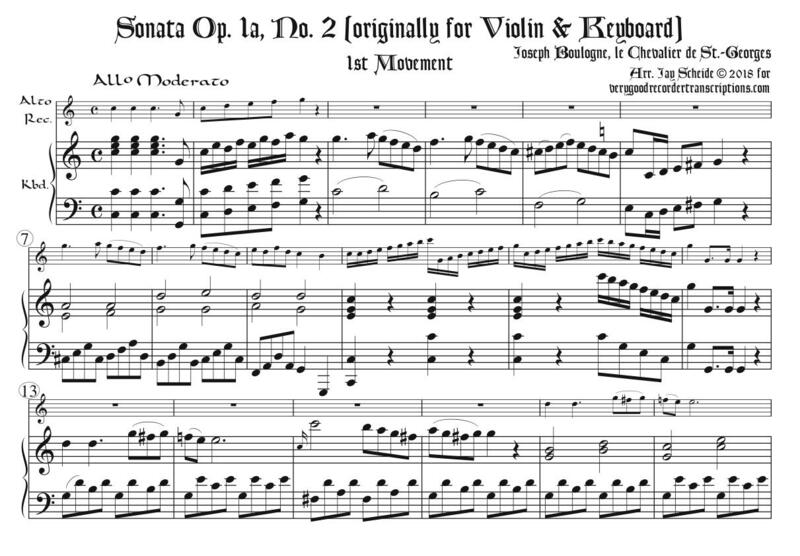 Originally for violin and keyboard in A major, transposed here to C. Revised 5.21.18.